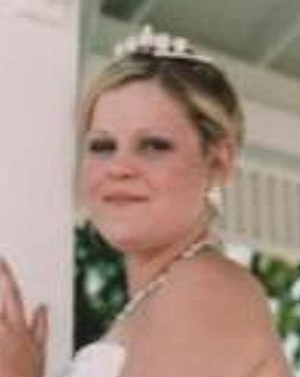 Obituary – Driskel, Amy Beth (Groom) « Perry High School Alumni Association, Inc.
Amy Beth Driskel, age 30, of Stillwater, OK formerly of Perry, OK was born on March 23, 1979 to Sidney Wade and Linda Sue (Fansler) Groom in Perry, OK. She went to be with her Lord and Savior on Sunday, February 20, 2010 at the Stillwater Medical Center. 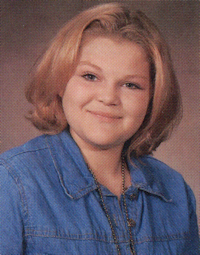 Amy grew up and attended school in Perry, graduating in 1997. She later attended Northern Oklahoma College, Oklahoma State University, and the Meridian Technology Center. She attended church at the First United Methodist Church in Perry. Amy later married Paul Ray Driskel on October 15, 2005, at the White Barn Estates in Stillwater, OK.
Amy had many hobbies including, knitting, painting, soap making, and computer animation. Amy was a very free spirited person, loving, and kind. Amy always put other people in front of herself. Funeral services for Amy are scheduled for 2:00 p.m. Wednesday, February 24, 2010 at the Perry First Assembly of God Church with Pastor Brett Nation officiating. Interment will be in the Grace Hill Cemetery. Services have been entrusted to Perry Funeral Home. Memorials may be sent to the Juvenile Diabetes Foundation c/o Perry Funeral Home, 203 E. Fir, Perry, OK 73077. Amy is survived by her husband, Paul, of the home; father, Sid Groom, of Perry, OK; her brother, Wade Max Groom and wife Jennifer of Rock Port, TX; her niece and nephew, Peyton and Clayton Groom of Rock Port, TX; her mother and father-in-Law, Bill and Lynn Driskel of Rock Port, TX; and her special friends, Leah Sigler, Amanda Lambert and Mandi Tilke. She was preceded in death by her mother, Linda Groom, and grandparents, Max and Juanita Groom.